It has been a few months now since Google began rolling out their new Search Console. Initially there were only a couple of features that were introduced, such as Index Coverage Report (very useful for crawling and indexing related issues and resolutions), and the Performance Report, which has 16 months of data – which was a massive step for analysing back-dated data. 16 months of data in the Search Performance Reports which includes CTR, organic positions, Landing Page performance, impressions etc. (if Webmaster Tools were set up at the time). Better Index Coverage Report – This has a wealth of information about crawling and indexing related issues. 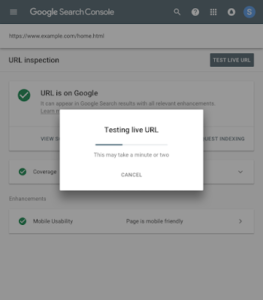 URL Inspection tool – Now you can test live URLs to find out any issues relating to crawling, indexing and serving directly from the Google index. Links Report – To find out more about sites linking/pointing to your website. Individual URL indexing – Submit individual URLs for indexing. AMP, Job postings reports – Get automatic alerts and see a listing of pages affected by Crawling, Indexing, AMP, Mobile Usability, Recipes or Job posting issues. 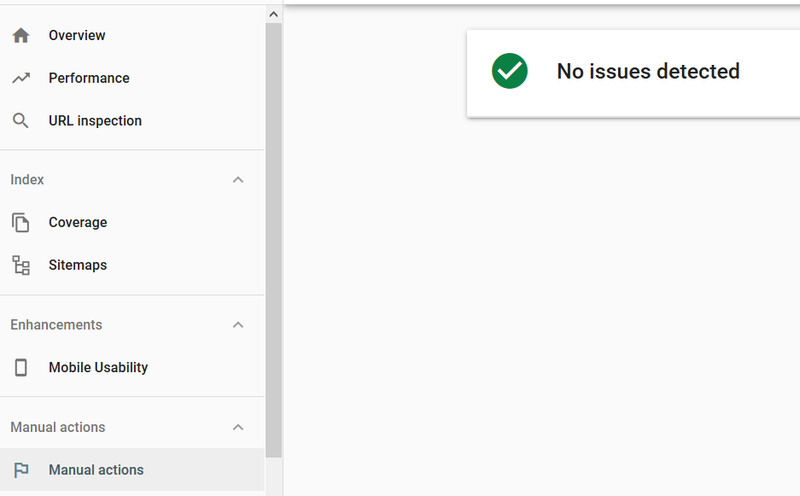 Validate your fixes – Notify Google when you’ve fixed an issue. This is just a new way of Google showing the reports. Some are presented in a better way and some have been given a make-over with more data and added functionality. 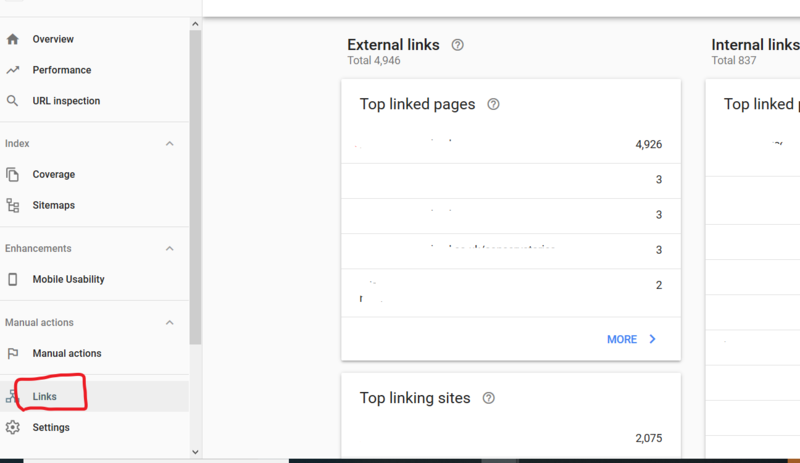 Google would like you to start using the reports in the new Search Console wherever possible. 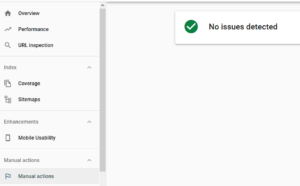 So, for all the reports that are existing in both old and new versions of Search Console, you will see a flag directing you to the new reports. Eventually the old version reports will be taken out and we will use the new Search Console completely. So, we need to keep using the Classic/old Search Console for some specific work. Now that we have a brief idea about the key features and what it means for webmasters, site owners and marketing individuals, let us look at all the reports in detail. Within the performance tab, you can see what pages and what keywords your website ranks for in Google. In the old version of GSC you could see the data only up to a maximum of the last 90 days, but in the new version it’s possible to see the data for up to 16 months. Keep in mind that the data is available only from the moment you set up your account. If you check the performance tab regularly, you can quickly see what keywords or what pages need more attention and optimisation. At teclan, we use this report extensively as it enables us to visualise data and gives us a lot of information about what we should be focusing on for our clients. A more technical but very valuable tab within Google Search Console is the Index Coverage tab. This section shows how many pages are in the Google index since the last update, how many pages aren’t in it, and what errors and warnings caused difficulty for Google when indexing your pages properly. This tool enables you to run the inspection on the live version of the page. This is useful for debugging and fixing issues or confirming whether a reported issue still exists in a page. If the issue is fixed on the live version of the page, you can then ask Google to re-crawl and index the page. This report allows you to see who links to you the most, your top-linked pages, and much more. Back links are still very important for websites – the report helps you see both good and bad quality links so that you can take appropriate action. An XML sitemap is like a roadmap to all important pages and posts on your website. Every website would benefit from having one. This now has a fresher look in the new Search Console. From here you can review the details for any pending Manual Action and, if needed, file a reconsideration request. See if your site has any manual actions issued against it and view the site’s manual action history. If a site has a manual action, some or all that site will not be shown in Google Search results. Google has been pushing accelerated mobile pages (AMPs) for a few years now, so it’s only right that its Search Console is updated with a new report covering their performance. This report helps you fix errors that prevent your AMP pages from appearing in Google Search results with AMP-specific features. Learn which rich results Google could or couldn’t read from your site, get troubleshooting information for rich result errors, and request a re-crawl after you have fixed any problems. You can see which rich result types were detected on your site in the Enhancements section of your dashboard. Click a result type in the table for more information about that rich result type. Job postings are new to Google Search Console. Within this tab you’ll be able to list your job openings and to track their performance. If there are any errors, you’ll see them in here. It’s not the most important feature of GSC but it can be valuable for specific companies or websites. 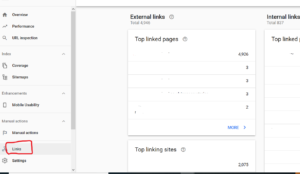 There are some features which are still exclusive to the classic/old version of Search Console and we will see Google adding those to the new version in the coming months. Eventually the old Search Console version will become obsolete and the new version will be the one to use. If you need help with any of the above reports or assistance in migrating from the old Search Console to the new one, please contacts us and we will be happy to assist.